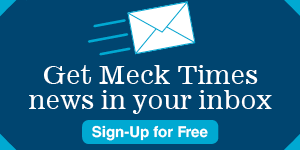 Where can you find The Mecklenburg Times ? If you’re looking for a single copy of The Mecklenburg Times, here are the locations of our many newsstands in and around Charlotte. If you would like a subscription to the newspaper, please Subscribe Here. We are always in the process of determining the distribution needs of our readers and are looking to add new locations. Please continue to check back with us as we update these newsstand sites. Corner of E. 3rd St. and S. Tryon St. Corner of E. 6th St. and N. Tryon St.